It has been a time since I last time reviewed some of the cloud mining platforms. It was at the end of September when I noticed an ad from HashMart.io and decided to explore more. Seems that HashMart.io is a Russian cloud mining company incorporated in Cyprus. Disclosure: This article contains affiliate links to hashmart.io cloud mining website, by clicking on links on this page and by making a purchase on hashmart.io, I will earn a 5% affiliate income at no cost to you. Also, I'm not a financial advisor and I don't give you any advice, I'm just sharing my own experience. Investments in stocks, funds, bonds or cryptos are risk investments and you could lose some or all of your money. Do your due diligence before investing in any kind of asset. Hashmart is a small enterprise with a global goal: now that almost everyone on the planet has a smartphone, we want each of you be able to have access to Cryptocurrencies and to the numerous advantages they can bring. Now, this goal probably is a bit silly, as for getting a piece of cryptocurrency it's enough to open an account at Coinbase and buy it instantly. At the moment, our service supports only Bitcoin mining using the SHA-256 algorithm. In the future, we are planning to enhance the support of other cryptocurrencies. Hmm, let me say this way - 24.9% is great no doubt, it is also risky. 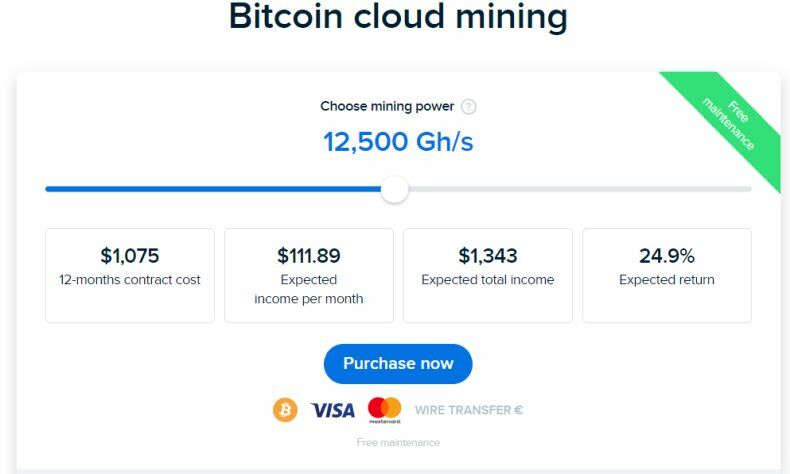 Would I personally put my money in such bitcoin cloud mining contract? No! If I did so - I would gamble. Or let's say this - I could easily find some fishy stocks with a dividend yield of 25% and I still believe I would turn out better than a bitcoin cloud mining contract after a year. Or I could go with more safer peer to peer lending platforms and generate income up to 20% annually in national currencies. That's nothing unheard or impossible, just it's riskier or in most cases not profitable. For example stocks with super high yield tend to depreciate over time - you might get 25% dividend, and you could also lose 50% in value for such a stock. You get the point. The biggest concern with bitcoin mining is mining difficulty. There are little guarantees that mining bitcoin will be profitable after a year. You might end losing some or all of your investment. We have seen this in the past with HashFlare.io already. I'm not saying hashmart.io is a scam or something, what I'm saying - such kind of investment is just too risky.